Repeat post of our [me and the fetching Mrs. Sheralyn B, along with our daughter Ebony and son-in-law, big John] trip to Montreal in the summer of 2013. The fetching Mrs. B, our daughter Ebony, son-in-law John and I just returned from a grand time in Montreal, Quebec, Canada. Because a picture can paint a thousand words, and paint them probably better than I can put them on paper, errr on this blog post, I will let the video do most of the talking. You will see pictures from our arrival at Le Crystal Hotel in Montreal, to scenes from the city and Old Montreal, and a "cruise" boat tour of Old Montreal and finishing with awesome pictures from the Montreal Botanical Gardens, "Jardin Botanique de Montreal". "Oh, Montreal": a tale of a family's vacation in Montreal, Quebec, Canada as produced and directed by "the Tales". Please turn up the volume and enjoy in full screen mode. Absolutely breathtaking music and awesome pics--- what a loving family trip, the pics from the garden of animals was so special, thanks for sharing a once in lifetime experience for a great family! Wow, Michael, I so enjoyed the video!! (I especially liked that last picture of you in the garden--what a face!!) You picked just the right music to go along with the pictures. Loved the Water Music. Looked like you had a wonderful time. You have a beautiful wife and daughter, and awesome son-in-law! You look great yourself, too! What a trip, and thanks for sharing. Thanks so much Joel for your kind words!! Montreal is really a great place to visit. Blessings to you and the family! 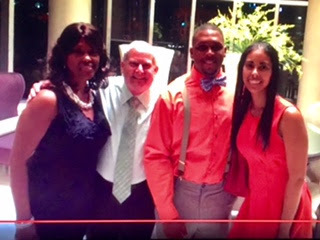 The video, pictures and music only high-lighted my beautiful Houston family. Thank you for sharing this wonderful time. Mike you have done such an amazing work. Its such an beautiful video and a great Houston family. I would like to go there someday. Thanks for sharing this wonderful trip. Thanks Suzi, I really appreciate those kind words. Excellent job, Michael--thoroughly enjoyable!!! Thanks so much for sharing!! Those gardens are wonderful!! Great job! !